© 2001 Thomas M. Elder, M.D. 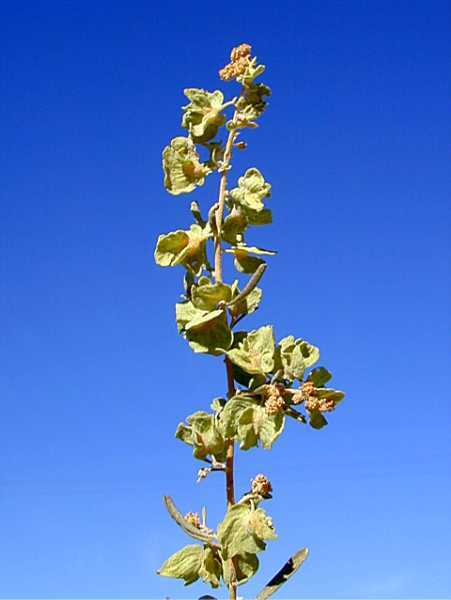 Atriplex canescens, a dicot, is a shrub that is native to California, is also found elsewhere in North America and beyond. /app/up/gp/49/th/9907.jpg:!0000 0000 0901 0602:!/app/up/cbo/82/th/24886.jpg:!/app/up/entry/67/th/20156.jpg:!/app/up/gp/29/th/5848.jpg:!/app/up/gp/45/th/9062.jpg:!0000 0000 0208 1341:! 2018 Ron Vanderhoff:!2001 Thomas M. Elder, M.D. :!2014 Jesse Rorabaugh:!2018 Ron Vanderhoff:!2016 James Gonsman:!2018 Ron Vanderhoff:!2008 Jason E. Willand:! gp9907:!:!cbo24886:!gp9392:!gp5848:!gp9062:! :!